The Seattle Angel Conference announced today that Portland-based Energy Storage Systems was selected as the winner of its sixth investment competition. 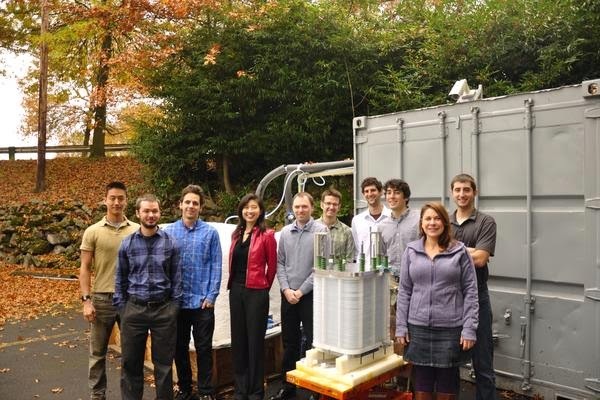 The three year old startup that builds efficient battery technology will receive a $135,000 investment award from the Seattle Angel Conference VI LLC. Five other companies also presented at the conference held on Wednesday. In less than three years, the Seattle Angel Conference has invested more than one million dollars in 7 Washington State firms across a wide range of industries. Amazingly the money has come from about 100 investors out of the approximately 75,000 King County residents who are federally qualified to be Angel investors. Connect2Classes- Connect2Classes™ is the one place class providers can list their classes knowing people will find them; the place where potential students are looking for local and online classes. NorthAmerica TALK- NorthAmerica Talk builds community social networks. PotaVida- PotaVida lowers the cost of access to safe water in disasters and urban slums, and enables program evaluation by automating the collection and reporting of usage data. The Hub Edu- The HubEdu is an online learning community where faculty and students in higher education can collect, connect and collaborate. THIRD & Loom- Third & Loom is a vertically integrated designer label that democratizes haute couture by letting clients become fashion designers. Events sponsors include Barker Hostetler, Ater Wynne, Thinkspace, Impact Hub Seattle, 9 Mile Labs, S@, Surf Incubator, Startup Poker 2.0, SeedInvest, Startup Seattle, WTIA and AWS. This year’s finalist companies were selected from over 40 companies based throughout Washington that applied to compete at the Seattle Angel Conference 2014. A rigorous selection process was undertaken by a group of angel investors to select the finalist companies. An angel investor is a qualified individual who provides capital for a business start-up, usually in exchange for convertible debt or ownership equity. In the Seattle Angel Conference case, the investment vehicle is convertible debt. The Seattle Angel Conference introduces new Angels to the process of Angel investing through education and participation. The next Seattle Angel Conference is expected to be held May 21, 2015. All Washington startups and interested investors should inquire in December about participating in the next round of educational events, trainings, and competition. Deadline for applications will be February 24, 2015.